Home » miscellaneous » 000Webhost – Genuine Free Web Hosting Platform For Small Businesses, Professionals, & Bloggers! Creating your website involves designing it and optimizing its content, and publishing it can seem to be a one-time task. The only time you will have to make any changes to your site is when you have to add a new product, service or page. It is more or less a onetime task and once your website is set up, you have to consider ways how to get the most out of it. Web hosting is one aspect that requires you to renew your hosting every few months or year. This is where 000Webhost offers you a unique solution! It offers a free hosting platform with premium features. Once you host your site with this provider, you will not have to worry about the hosting fees. With 000Webhost, you get the assurance of zero hosting costs as long as you stick with the 1GB space and 10GB bandwidth limit. You can even have 2 databases and 2 websites in the free hosting plan. And there are no hidden costs to get you to pay. And this zero-cost plan comes with premium features including optimal reliability, fast speed, and professional customer support. In fact, the free web hosting service provided by this host is even better than what you expect from many paid premium service providers. How Come An Absolutely Free Web Hosting Solution? 000Webhost provides free cPanel hosting services. It covers up its free hosting plan with its paid hosting plans that offer advanced features. The provider also claims to receive donations from its users to support the free model. So what are the premium features offered by this web hosting service a zero cost? Let’s have a look at them in detail! 000Webhost offers a guaranteed 99% uptime assurance. This is unique for a free web hosting provider to offer. In fact, its servers touch proven 99.9% uptime. It is hard for even paid hosting service providers to assure 99% uptime. You can host up to 2 websites using 000Webhost’s free hosting plan. And the host provides you access to almost unlimited disk space and bandwidth. It is like getting access to premium unlimited and unmetered shared hosting service for free. And this comes with access to the latest version of MySQL and PHP. You can create up to 2 databases for your site for free. Add any feature to your website with just a click. It is perhaps the only platform that offers free hosting and Autoinstaller. When it comes to designing a website, you shouldn’t have to deal with the complex site-builder interface. This free web host even provides an easy-to-use site-builder. There are hundreds of professionally-designed and responsive templates to choose from. You can add a wide range of features to your website to create a fully-functional site without the need for any help from professional designers. Free Domain Name Hosting: 000Webhost allows you to host a free domain name. Create your own website domain for your business, nonprofit, professional, personal or blogging needs for free. Free cPanel Hosting Admin Panel: Use the most popular and the easy-to-use control panel in the industry. Instant Activation: Your account gets instantly activated. There is no need to wait for the host to confirm your payment because there are no fees at all. The hosting service will remain 100% free ‘forever’. The web host has its own servers located in reliable and high-quality data centers (many other free hosting providers rely on other’s servers to provide services). But this provider has total control over its own servers. This means that you can trust them with your data. 000Webhost is a trusted brand in the web hosting business for over a decade now. It has been offering free hosting solutions since 2007. It further differentiates itself from other free hosting service providers by offering an advertisement-free environment. There are no hidden costs, and you are not asked to choose additional features after you have signed-up. There is no need to provide your credit card details during sign-up. 000Webhost has millions of clients from all over the world. This web host offers a truly free web hosting solution with free access to premium features which are not available with any other provider offering free services. Get access to cPanel, PHP, MySQL, dozens of scripts with single-click install feature and an easy-to-use website builder. You simply cannot ask for more. 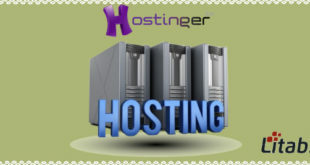 The web host even goes on to explain why it is able to offer free hosting service. Whether you have a small business, a professional service, a nonprofit organization, a blog, or need to create a personal website, this is just the right platform to design and maintain your website with.